Width (side to side) 0"
Depth (front to back) 0"
Storage Two doors. Four adjustable shelves. LED Touch Lighting. Featuring LED touch lighting to illuminate your treasured possessions, this beautiful entertainment center presents exceptional design for your living space. 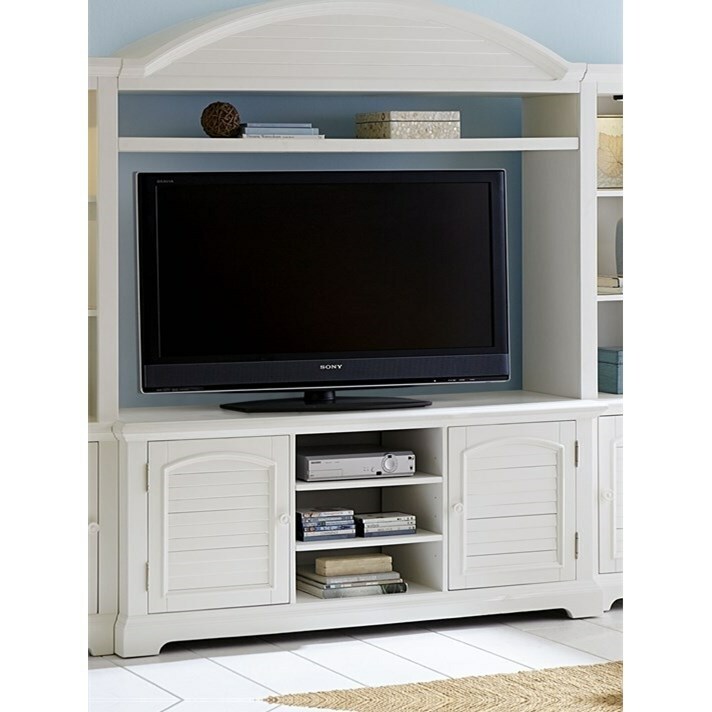 Highlighted by an oyster white finish, the piece includes two doors that each conceal an adjustable shelf. Completed with bracket feet and a top shelf area, this transitional piece will complete your living room space.